Everyone has experienced the painful redness, blistering, and peeling that come with sunburn. Over-exposure to the sun’s UVA and UVB rays can also lead to more serious long-term skin problems, including scarring, wrinkles, chronic dryness, freckles, dark spots, and melanoma. That’s why it’s important to immediately treat sunburns with the best remedy available, which you might be surprised to learn is not an expensive commercial lotion or a prescription ointment. It’s aloe vera, and we’re about to tell you why it works and exactly how to use it. Let’s get started! Aloe vera contains 150 vitamins, minerals, and trace elements, including zinc, calcium, iron, magnesium, copper, zinc, sodium, manganese, tannins, germanium, potassium, amino acids, and selenium. The glycoproteins in aloe vera relieve pain and inflammation. The polysaccharides in aloe vera help repair damaged skin cells and trigger the formation of new ones. Aloe vera stops burning sensations and prevents swelling. The lidocaine in aloe vera is an anesthetic, which relieves pain and inflammation. The aloectin B in aloe vera strengthens the immune system to prevent infection and accelerate the healing process. Aloe vera juice forms a protective layer over burned and peeling skin, hydrating it and holding moisture in. Aloe vera contains no oils or other elements that clog pores and irritates the skin. Aloe vera fights bacteria that cause infection. It penetrates deep into the damaged skin layers and reduces the pain and swelling associated with it. Aloe vera can be used alone and in combination with other natural ingredients that repair damaged skin and keep it healthy. Try all the methods below until you find the one that works best for you, and whenever possible, use fresh juice or gel squeezed directly from the aloe vera leaf. Cut an aloe vera leaf open lengthwise. Use a spoon to scoop out the gel. Use fingertips to apply gel to sunburned skin. Leave on until dry and absorbed. If it starts to feel sticky, rinse it off with cool water. Cucumber contains essential nutrients which help to soothe the sunburn. Cut open an aloe vera leaf and use a spoon to scoop out gel. Peel and chop a cucumber. In a blender, mix aloe vera gel and cucumber until smooth. Apply to sunburned skin and leave on 30 minutes or until dry. In a bowl, mix 1 teaspoon of aloe vera gel, 1 tablespoon of witch hazel, and 2 tablespoons of water. Set aside for 3 hours. Stir in 3 teaspoons of baking soda and 1 teaspoon of peppermint oil or ½ cup of fresh mint leaves. Pour mixture in airtight container and refrigerate for 24 hours. Apply to sunburned skin 2-3 times a day. Lavender oil relieves inflammation and triggers tissue regeneration. Mix 1 tablespoon of fresh aloe vera gel and 5 drops of lavender oil. Use fingertips to gently apply to sunburned skin. Leave on 15 minutes or until dry. Rinse with cool water and pat dry or leave on all day. For added benefit, mix in 2 tablespoons melted organic coconut oil. Mix ½ teaspoon of aloe vera gel, 1 drop of helichrysum oil, 2 drops of lavender oil, and 2 tablespoons of water. Pour mixture into dark-colored spray bottle, shake well, and store in cool, dark place. Spray on sunburned skin and let it dry. Peel and chop a 1-inch section of cucumber. In a blender, mix 2 teaspoon of aloe vera gel, cucumber, and 2 tablespoons of plain yogurt until smooth. This method is especially good for facial burns. Vitamin E acts as a moisturizer and repairs the damaged skin cells. Cut an aloe vera leaf lengthwise and use a spoon to scoop out the gel. Cut open 2 vitamin E capsules and extract the oil. Mix aloe vera gel with vitamin E oil. Use fingertips to apply to sunburned skin. If it gets sticky, rinse with cool water and pat dry. Peel and grate carrots and cucumbers. In a sauce pan, heat sesame oil, carrots, and cucumbers for 30 minutes over low flame, stirring occasionally. Remove from heat and strain out vegetables. Add beeswax and emulsifying wax to the infused sesame oil and heat over low flame until melted, stirring to combine. Add aloe vera gel and vitamin C powder and whisk until smooth and creamy. Remove from heat, pour into jar, and let cool to room temperature. Apply to sunburned skin 2-3 times a day until healed. Store the remaining lotion in refrigerator for 2 months. Extract fresh gel from aloe vera leaf. Wash hair as normal, towel dry until damp. Gently massage aloe vera gel into scalp. Rinse with cool water and allow to air-dry. Fill the compartments of an ice tray halfway with plain water. Fill them to the top with aloe vera gel. Freeze and apply to sunburned skin. It is a good remedy to treat sunburn on face. Cook ¼ cup plain of oatmeal. In a blender, puree 1 tomato. Mix 1 tablespoon of aloe vera gel, 1 tablespoon of pureed tomato, and ½ cup of plain yogurt into chilled oatmeal. Apply to sunburned skin and leave on 15 minutes or until dry. Apply moisturizer or plain aloe vera gel. Peel the outer skin off of an aloe vera leaf and puree it in a blender. Mix 3 tablespoons of aloe vera pulp with 3 tablespoons of turmeric powder. Apply to sunburned skin and wrap with gauze. Remove bandage, rinse with cool water, and pat dry. Mix 1/3 cup of aloe vera gel with 1 teaspoon of organic raw apple cider vinegar, 1 teaspoon of lavender oil and the oil from 2 vitamin E capsules. Pour into bottle and shake well. Massage gently into sunburned skin and leave on 15 minutes or overnight. Store the remaining mixture in refrigerator. It is always best to use fresh gel or juice extracted directly from the aloe vera leaf. If you don’t have access to fresh aloe vera leaves, try the products listed below. For best results, follow the advice below when using aloe vera to treat sunburn. Use aloe vera daily to prevent peeling, dryness, and scarring. The sooner you begin using aloe vera treatments, the faster your sunburn will heal. Before starting regular aloe vera treatments, do a patch test to find out if you’re allergic to it. If you experience rashes, stinging, or itching, you may be having an allergic reaction. Stop using aloe vera immediately. For extra cooling effect, refrigerate aloe vera before use. Choose aloe vera products that don’t contain alcohol as it irritates the burn. You can also use aloe vera to treat sunburned lips. Drinking aloe vera juice triggers skin cell regeneration and strengthens the immune system to accelerate healing. Using aloe vera as your regular moisturizer helps prevent sunburn. If your burns do not show signs of healing within 4 days, consult a doctor. 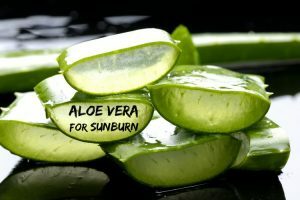 Have you tried using aloe vera to treat sunburns? Do you know of any methods we haven’t mentioned? Share your experience with us! After applying aloe vera to my face , i get too tan why?? See a doctor. Sometimes, aloe will not be enough to heal a burn. You should monitor your burn while you are using aloe to see how it progresses. You should see a doctor if your burn gets worse or becomes more irritated by the aloe. You should also seek medical attention if your burn persists for more than a week and seems to not get better. I have had this sun burn on my face for over two years now, have used alot on it but it still refused to go. Please what do I do. As I can’t go out early in the morning without concealing my face. Apply freshly extracted aloe vera gel on the sun burnt area. Leave it to dry completely and rinse off with water. Repeat the process 3 – 4 times in a day until you achieve results. If this process is not showing any improvement even after few weeks, then consult a doctor. Sunburn shouldn’t last for 2 years. 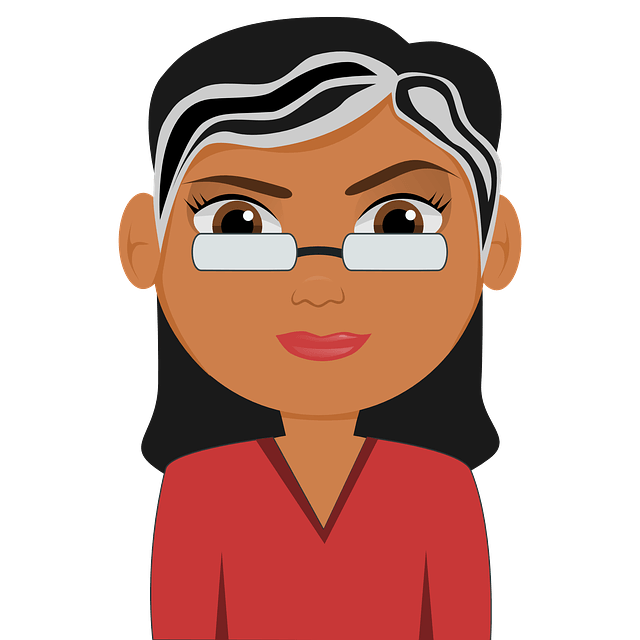 Suggest checking it is not something like rosacea. is it advisable to extract the gel through boiling the leafs in water? Nope, you have to extract raw gel from the fresh aloe vera leaf. I have got sun damaged skin for 4 year’s now what should I do and I have used aloe vera gel for 5 day’s still no improvement. I wouldn’t seek help from a doctor because they are useless at giving advise.